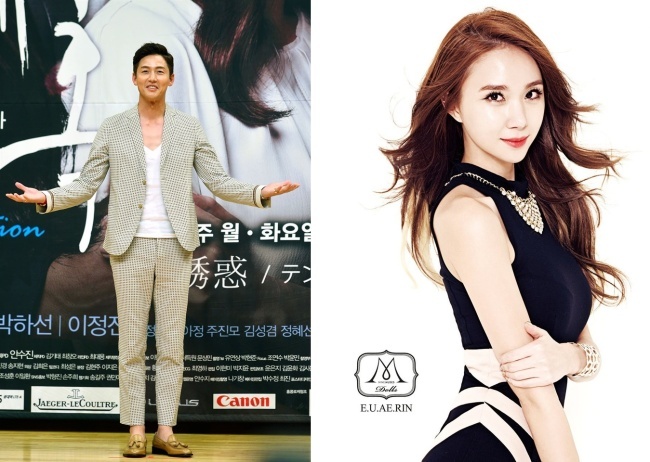 Actor Lee Jung-jin and singer Euaerin are in a romantic relationship. It was reported Thursday morning that the two stars are dating, along with some photos of them playing golf together. According to the report, despite the 10-year age gap, the two share a love for sports, particularly golf. After debuting as an actor in 1998, Lee starred in drama series and films, such as “The K2” and “Pieta.” He has recently been showcasing his talent as a photographer, releasing a photo book that features celebrities. Euaerin, whose real name is Lee Hye-min, debuted in 2007 as a fashion model. She switched to singing in 2009 by joining the girl group Nine Muses. She has been pursuing a solo career since leaving the group last June.